This iPhone-connected toothbrush will offer the ultimate clean. Do you want a toothbrush that knows what it’s like to have brushed the teeth of thousands of other people? That’s kind of what Colgate’s new app-enabled electronic toothbrush promises — only way less gross than that makes it sound. 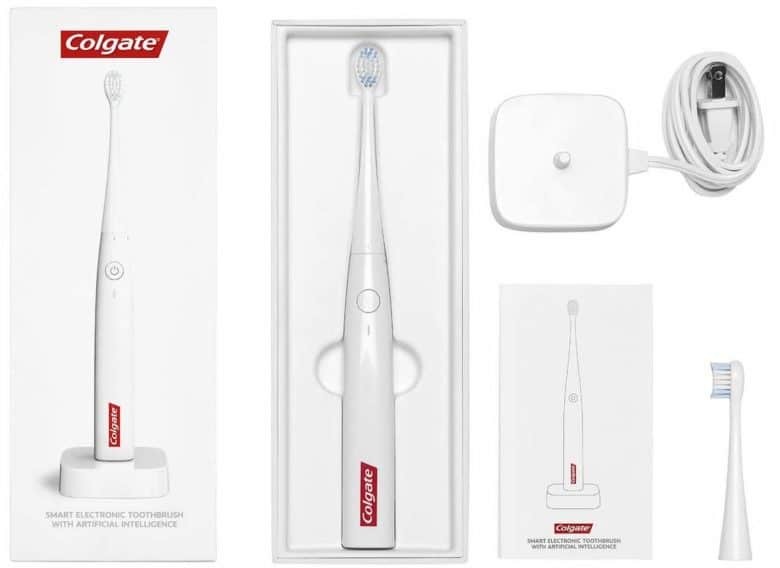 Debuted at CES, the Colgate Smart Electronic Toothbrush E1 with Artificial Intelligence uses AI to provide real-time feedback to users as they clean their pearly whites. It also uses Apple’s ResearchKit platform integration to crowdsource toothbrushing data from other users. The more people clean, the smarter the brush gets! According to Colgate it uses this ResearchKit data to “get even smarter about oral care for better and faster future innovation.” The providing of ResearchKit data with the toothbrush is completely optional, so you can opt-out of it if you’re not comfortable with others learning from your brushing technique. The brush contains real-time motion sensors, designed to capture brushing efficiency and effectiveness in 16 different zones of the mouth. It also uses Bluetooth connectivity and sonic vibrating technology, powered by smart toothbrush company Kolibree. Unlike a lot of products introduced at CES, you won’t have to wait long to get your hands (and, well, your teeth) on the Colgate Smart Electronic Toothbrush E1. It’s available in the United States on Apple.com and in select Apple Stores from today, priced at $99.95.